How many times have we given up after only 1 try. We are conditioned to believe that if it didn’t work out then it wasn’t God’s will. We walk away from something we wanted because it appeared to be a failure. Let me encourage you this morning to do as the Prophet did in the scripture above. He tried once…nothing, he tried twice…nothing. He could’ve dropped his head in defeat but he understood that he had been given power and authority to “make things happen.” He couldn’t give up, he believed whatever he was seeking God for could be done. He just had to try just once more. We have all heard the saying; “third times the charm” apply that to your situation. Have you given up after try number 2? 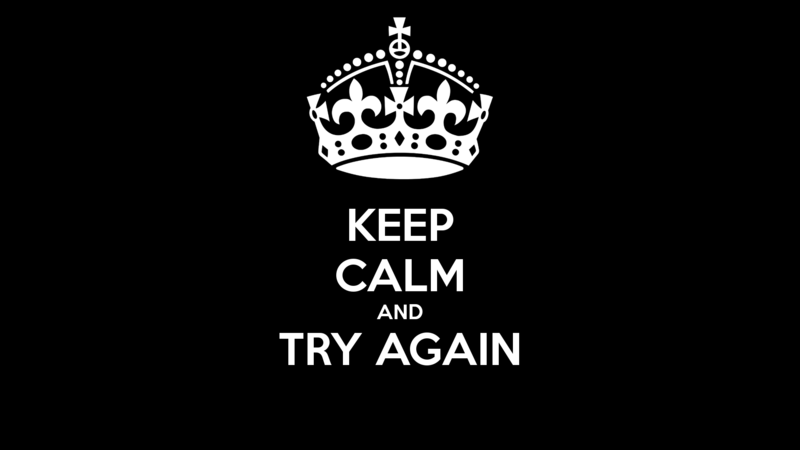 Try again. There are many times when I gave up prematurely. I let my pride get in the way of trying one more time. No matter how bleak the situation seems. Try just one more time. Nothing beats a failure but another TRY! What do you have to loose? Nothing. What do you have to gain? Everything! Life or death (to your situation) all depends on if you TRY, TRY, TRY again! Now expect God to do the rest.